It’s a bit of a cheat, this one, as it’s a trade rather than a single issue but, back in November 2009, my comics collection was dominated by Blackest Night and the aftermath of Final Crisis so instead of picking out yet another issue of Power Girl like last month, I figured I’d grab this one. He’d seen that cover – a scarred, disfigured man holding Judge Dredd’s badge – and been intrigued enough to buy it and share it with me. Even though we hadn’t read any issues running up to it, the story of Dredd taking the Long Walk, being attacked by the Sisters of Death and struggling to survive and regain his memory was great. 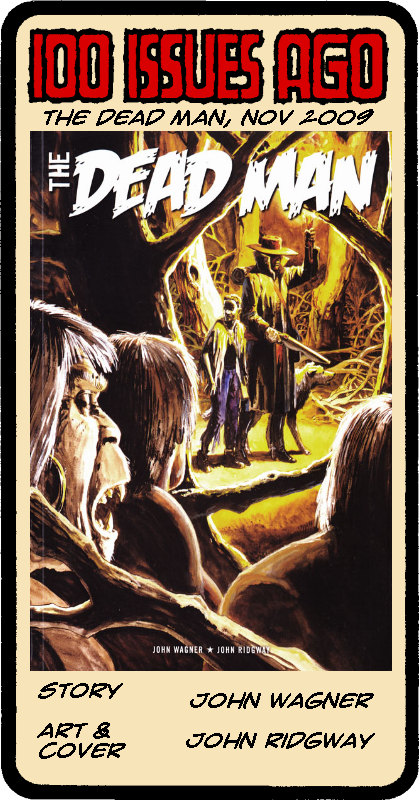 Almost twenty years later, with the release of The Dead Man collection, I finally got to read the whole story. 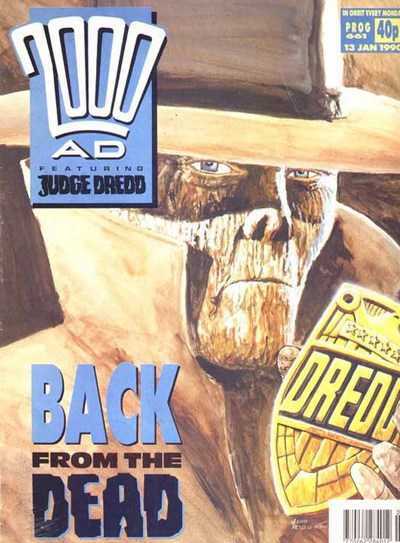 By that time, the publisher Rebellion had been producing lovely reprints in Judge Dredd: The Complete Case Files as well as other collections so I’d read the story that The Dead Man led into – Necropolis – but it was nice getting the background and being able to finish the story. Posted on Thursday, March 22, 2018 Wednesday, March 21, 2018 by GaryPosted in UncategorizedTagged 100 Issues Ago, Judge Dredd. So I looked up this Dead Man storyline business on wikipedia, and wow. Intriguing story, back-story, prequel, sequel, and more. How is John Wagner not getting more love as a writer????? He gets plenty of love over here in the UK, primarily as one of the co-creators and main writer of Judge Dredd.